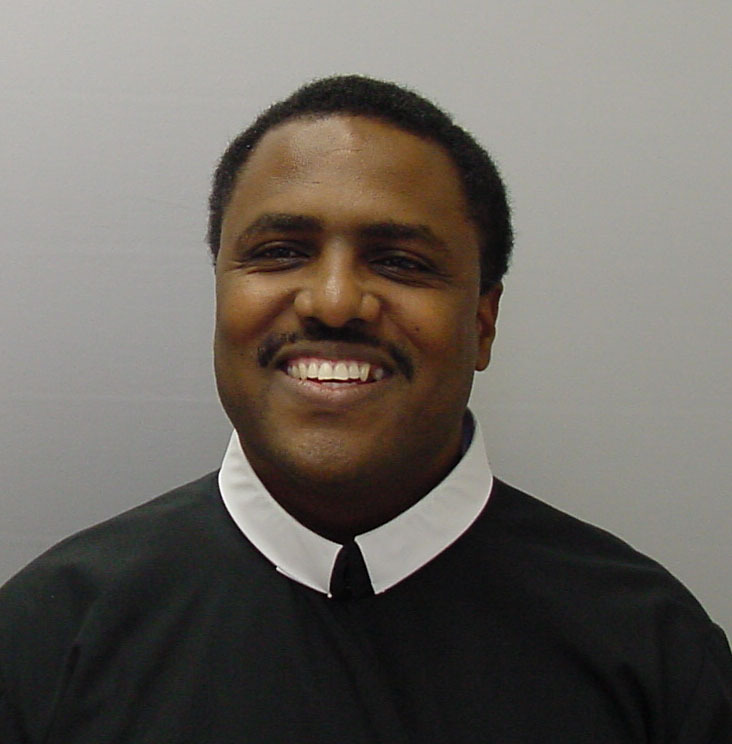 In November, Brother Jeffrey Rolle, a Redemptorist of the English-speaking region of the Caribbean in the Baltimore Province, was elected to the General Council, the group of advisors who help the Redemptorist Superior General govern the worldwide Congregation. Brother Jeffrey is the first Brother elected to the council. He professed vows as a Redemptorist in 1991. He will begin his new responsibilities in January 2010. Read on to learn a little more about him. Where are you from and how did you first meet the Redemptorists? I was born on the island of Dominica — not to be confused with the Dominican Republic — Dominica is an island in the English-speaking Caribbean. I have known the Redemptorists all my life. I grew up in a small community that was part of the Roseau Cathedral parish. Until 1989, the Roseau Cathedral parish (Our Lady of the Assumption) was cared for by the Redemptorists. What attracted you to the Redemptorists and how did you discern your vocation as a brother? I saw in the Redemptorists a dedication to the work they did, a love for the people among whom they lived and ministered, and a commitment to prayer. After participating in a vocation program geared toward assisting young people discern their call, and after experiencing firsthand the friendship and good counsel of two Redemptorists in particular, I decided becoming a Redemptorist priest would be a possibility for me. Up to the time I was discerning my vocation in the Church, I had not had any contact with any Redemptorist Brothers. I first met a Redemptorist Brother when I formally applied to join the community. The discernment of my vocation as a Brother came after five years in the formation program. During one summer apostolic assignment I was assigned to parish ministry. I found I had no energy around parish administration, preaching, and administering of sacraments — the major duties of priests in our communities. I knew I was still called to religious life because I felt great zeal for evangelization, for a life of simplicity, for community; it was then I discerned I was not called to the priesthood. What’s the difference between a Redemptorist Brother and a Redemptorist priest? Ordination is one of the major differences between a Redemptorist Brother and a priest. If you want to get technical, you can say that Brothers are laity and priests are clerics. This is where the difference becomes more evident. The lived spirituality of the two different states is shaped by the ministry in which the priest or Brother is engaged. The priest is obviously more visible because of his role and this role frequently defines who he is and how he is with people. As Brothers we have the advantage of focusing on our commitment to a way of being, following Jesus the Redeemer. What ministries and assignments have you had as a Redemptorist? Since completing initial formation I have had only two assignments. The first was in parish ministry where I served for five years as youth coordinator, taught part-time and did social service ministry. The second, which has continued to the present, has been formation director, guiding and teaching Redemptorist seminarians. What are your responsibilities as a member of the General Council? Where will you be living? According to the Redemptorist Constitutions and Statutes “the principal duty” of the General Consultor “is to promote the good of the Congregation.” It is also his duty to implement decisions of the General Chapter and promote the missionary work of the Congregation. I will be living in Rome. Why is it so significant that you’re the first Brother to be elected to the council? The response to this question may depend on who is responding. I think because our Congregation is canonically a clerical (priestly) institute, Brothers were traditionally not considered for the position of General Consultor. As the Congregation has evolved over the years, the issue of considering a Brother as a candidate for General Consultor began gaining momentum and was being discussed at General Chapters. The fact that, at the 2009 General Chapter, a Brother was actually elected confirmed that the confreres have gone beyond discussing the issue to actually acting on it. It’s no longer just an idea, it is real. What are your thoughts or feelings about being the first Brother on the council? I am humbled by the confidence the confreres have put in me and the members of the General Council, particularly at this time in the life on the Congregation when we have decided to focus intently on a new way forward through the myriad of problems and difficulties of the 21st century. Presiding over the restructuring of the Congregation for mission will be a formidable task. I hope that my presence on the General Council will help give a greater visibility to Brothers and encourage the promotion of vocations to that way of life in the Congregation. I am hopeful that our best days are ahead of us. God bless you, Brother Jeffrey, in your new ministry! St. Alphonsus Liguori and St. Gerard Majella, pray for Brother Jeffrey!